Codementor Support - What are freelance jobs? All Categories ​>​ I&apos;m a User ​>​ Getting Help ​>​ Hire a Mentor for a Freelance Job ​>​ What are freelance jobs? 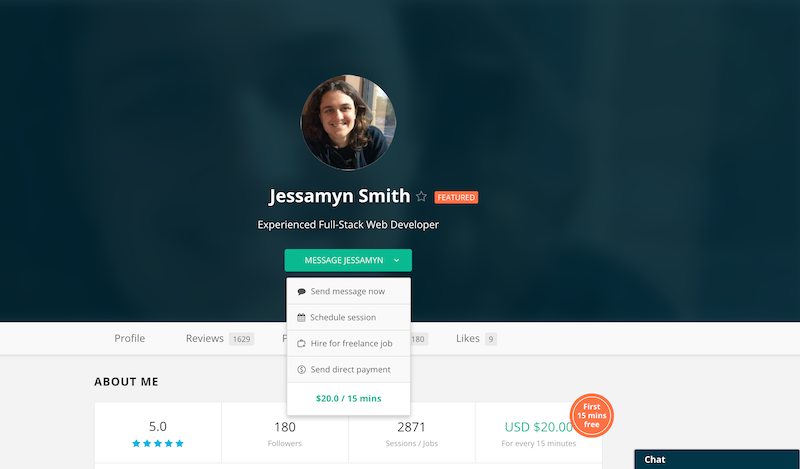 Freelance jobs are a way for users to get help from mentors outside of live mentoring sessions. You can also choose to send direct payment for work already completed. To hire for a freelance job, choose the "Hire for a freelance job" option on a mentor's profile or through the chat window. Once users fill out details regarding the job, we'll put your payment in escrow with us until the mentor completes the job. If mentors plan to help a user outside of a live session, we highly recommend mentors ask the user to create a freelance job and put the payment in escrow with us. 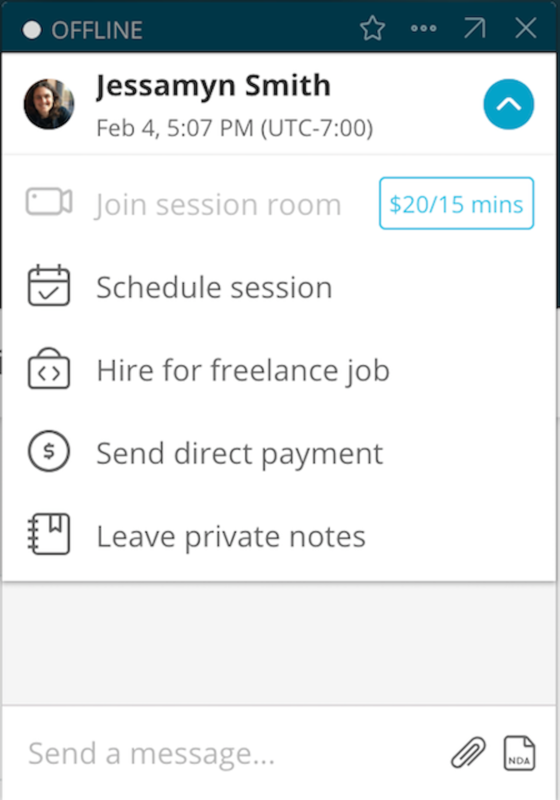 To request a freelance job from a user, mentors can choose the "Hire for freelance job" option through the chat window. When should I ask clients to create a freelance job?